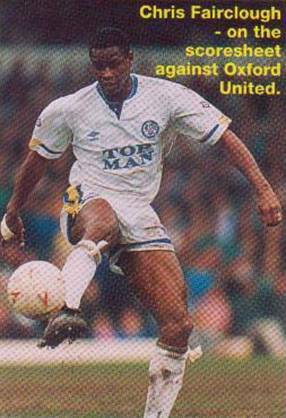 Date: Saturday, 10th March 1990. 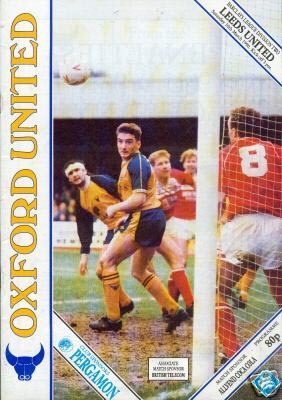 Scorers: Oxford United: Durnin, Simpson. 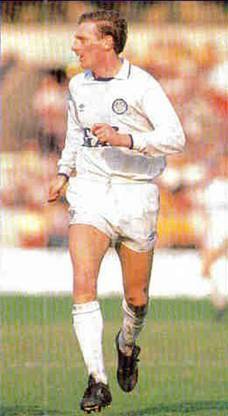 Leeds United: Chapman (2), Varadi, Fairclough. 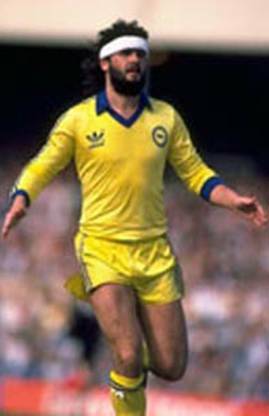 Oxford United: Kee; Smart, J. Phillips; Lewis, Foster, Ford; Mustoe, Penney (Heath), Durnin, Stein, Simpson. 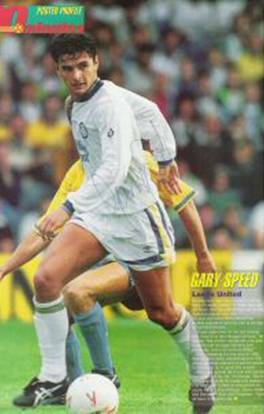 Leeds United: Day; Sterland, Beglin (Hendrie); Jones, Fairclough, Haddock; Strachan, Speed (Kerr), Chapman, Varadi, G. Snodin. 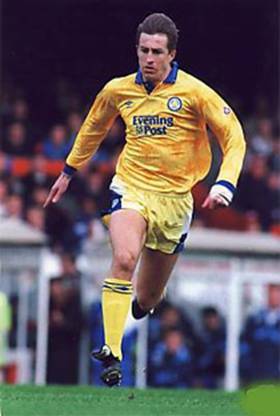 The paths of Leeds United and Oxford United had not crossed all that many times but arguably the most significant of the few games between the two clubs, from United’s point of view, was in the 1989-90 season. 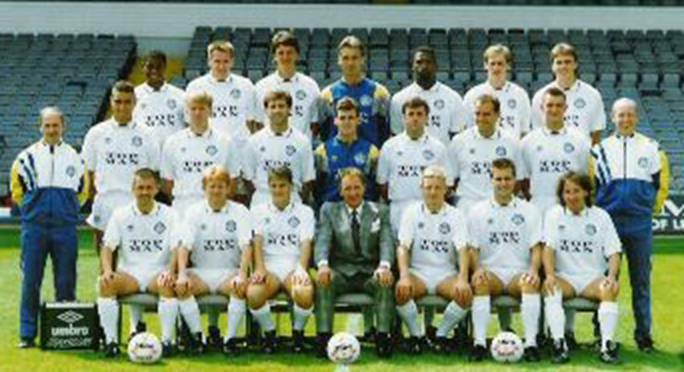 Howard Wilkinson’s men were at the top of the Second Division but their progress had slowed down when they went to the Manor Ground in March 1990 having only taken three points from their previous four matches. 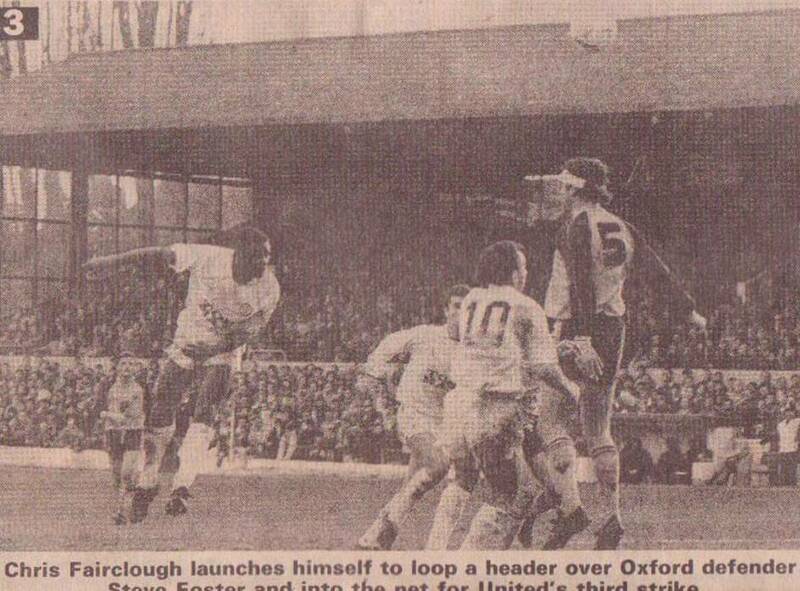 Swindon Town, Sheffield United and Oldham Athletic were chasing hard and the men from Elland Road badly needed a victory from their visit to Oxford but this objective looked well beyond United’s grasp when Oxford went in at half-time with a 2-0 lead. 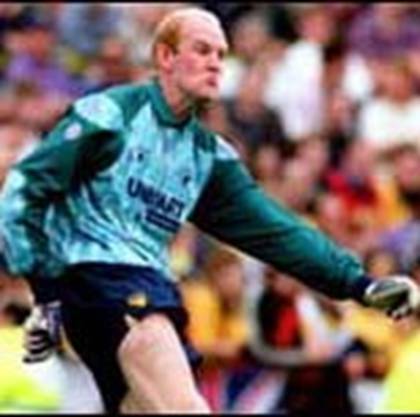 Playing up the pronounced slope, Oxford had surged into a seventeenth minute lead when Mark Stein got the better of Peter Haddock and created a chance for John Durnin to display a deadly finish. 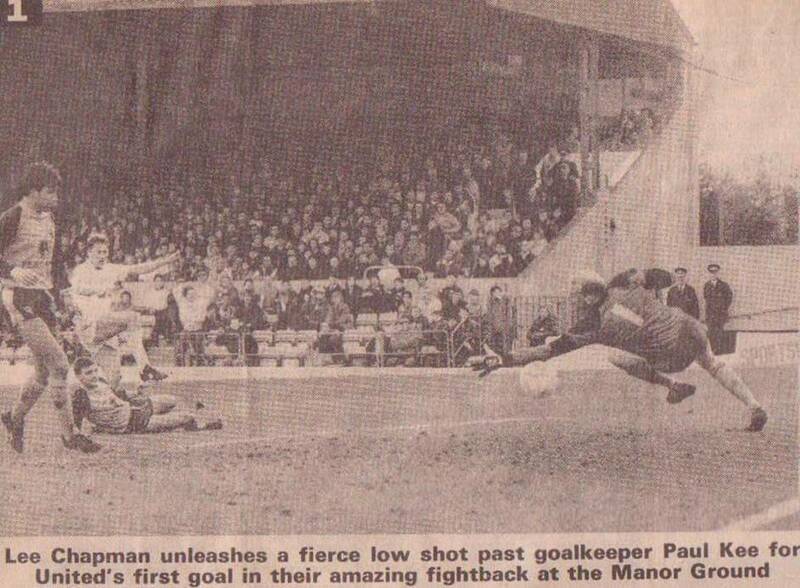 Mervyn Day had also saved brilliantly from David Penney and acrobatically tipped a back-header from his own defender Chris Fairclough over the bar. 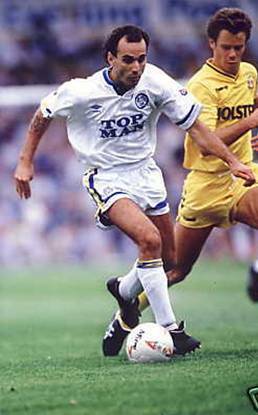 However, Day was beaten in the forty-fourth minute when Paul Simpson took a pass from Mark Stein to deepen the gloom of an Elland Road side that had hardly lived up to their billing of the season’s best bet for promotion. 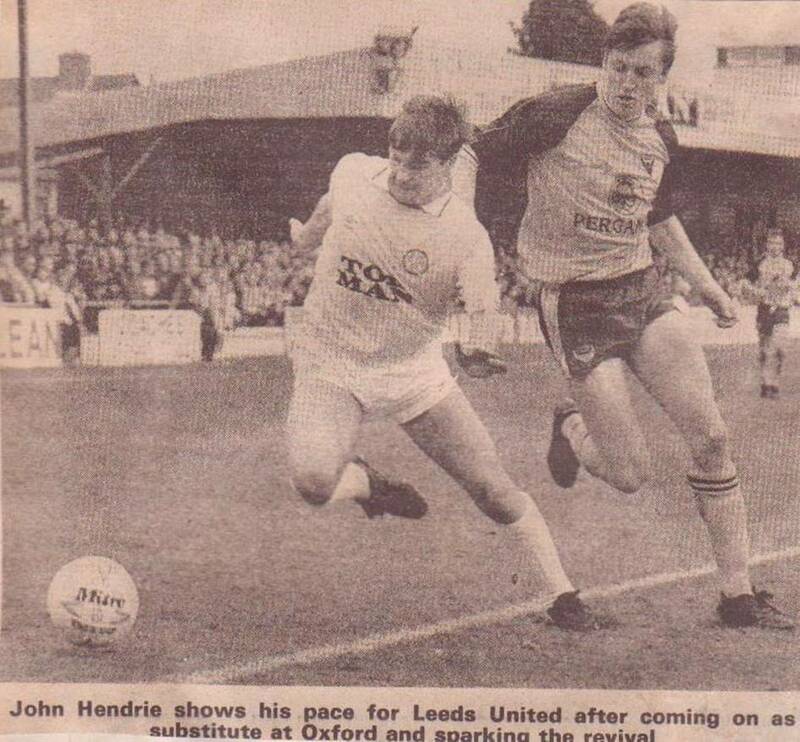 There appeared no way back for United but John Hendrie, coming on as substitute changed the situation dramatically by providing much needed ammunition for the front men. 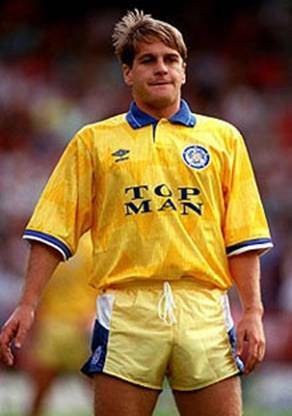 “I was told to hug the touchline and did just that and I was delighted with the way things turned out,” Hendrie said. 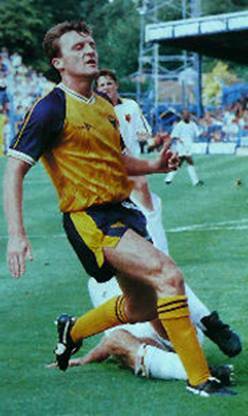 It was Mel Sterland, however, who provided the first telling cross from the right, which Lee Chapman controlled at the far post before hammering the ball past Paul Kee in the fifty-eighth minute. 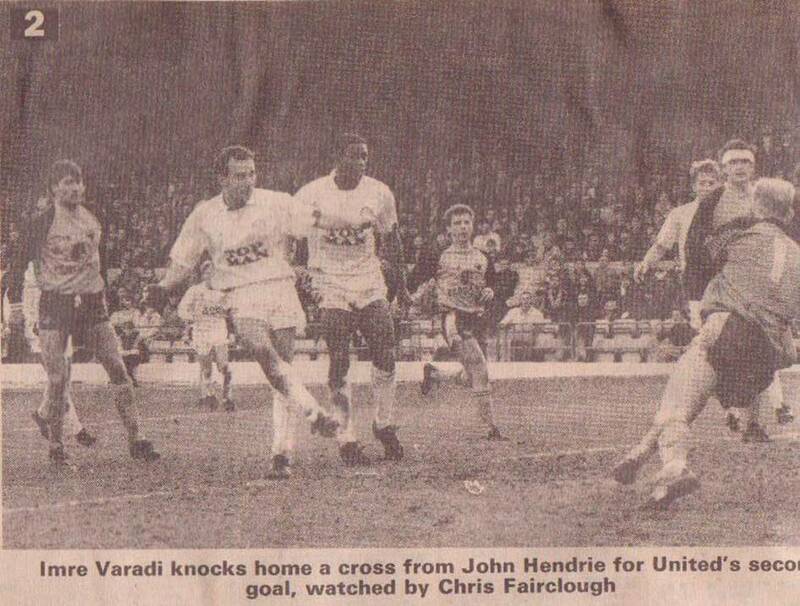 Fifteen minutes later Hendrie gave Imre Varadi the opening to make it 2-2 and United were in front two minutes after that when Hendrie’s overhead kick gave Chris Fairclough the chance to head in. 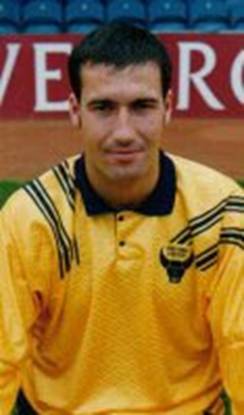 Chapman tapped in goal number four after Gary Speed had set up the chance and United had the opportunity to make it 5-2 in the last minute when Hendrie, charging into the Oxford penalty area, was upended by Steve Foster. 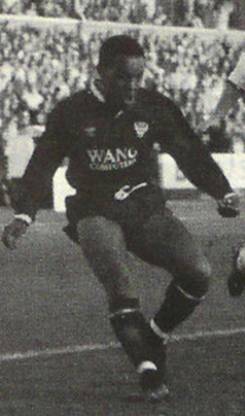 With Lee Chapman having scored two goals the striker was keen to try for his hat-trick and took the penalty instead of Gordon Strachan. 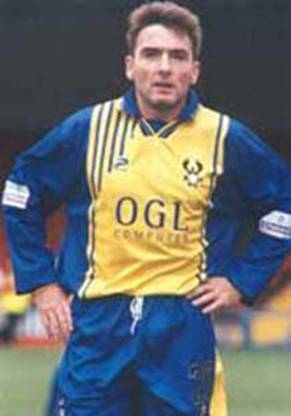 His spot kick was saved and that left manager Howard Wilkinson a far from happy man. 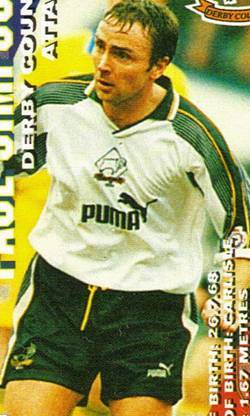 With the situation at the top of the Second Division tightening, he felt that goal difference might well play a part in the promotion struggle and he made his feelings known to his players. 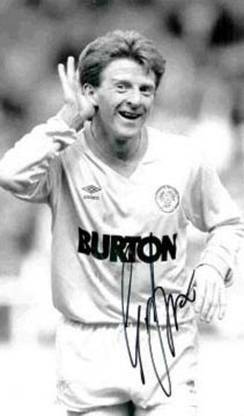 “Yes there was a word in my ear about it,” Strachan admitted. 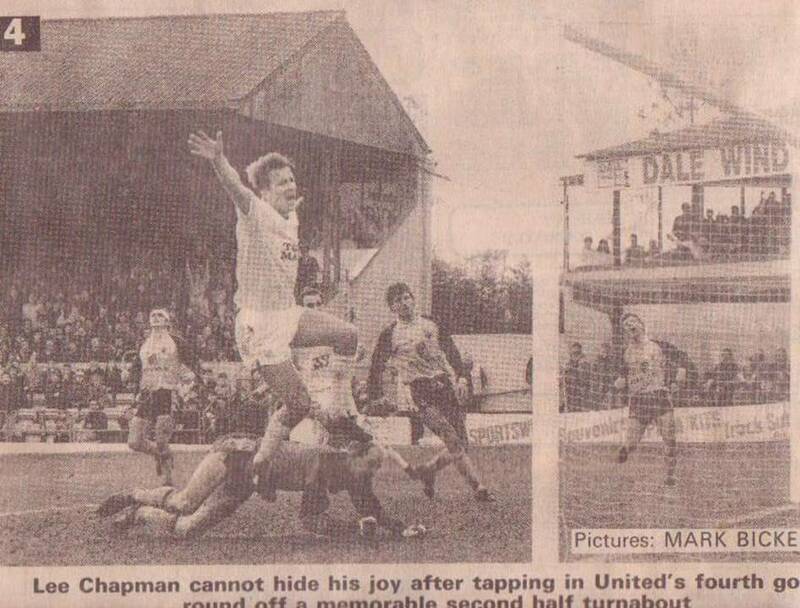 In the end United did not have to rely on goal difference, a win at Bournemouth on the final day of the season confirming them as Second Division Champions. 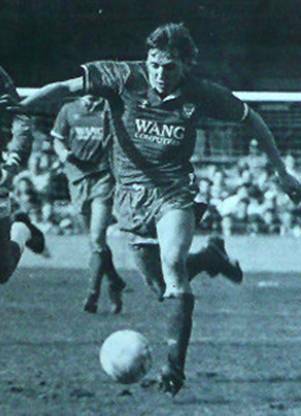 Alan Judge, Colin Greenall, Garry Smart. Maurice Evans (General Manager), Lee Nogan, Joey Beauchamp, Mark Hewitson. Mickey Lewis, David Bardsley, Peter Rhoades-Brown, Les Phillips. 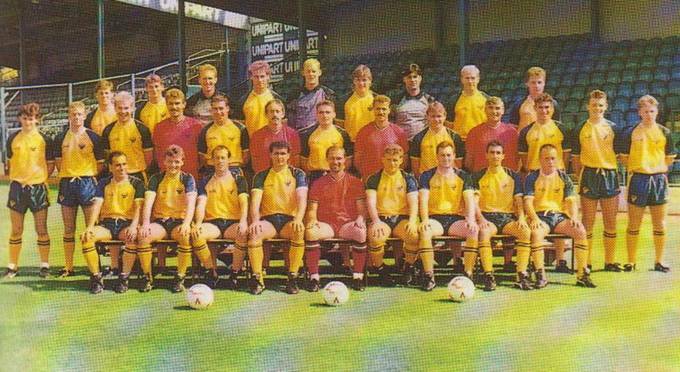 Bobby Davison, Mel Sterland, Mike Whitlow, Mick Hennigan (Coach). 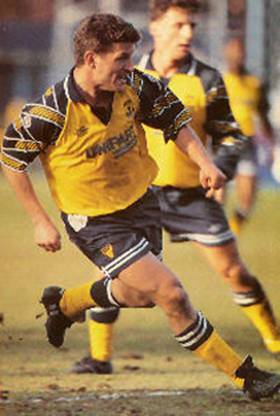 David Batty, Carl Shutt, Mickey Thomas. 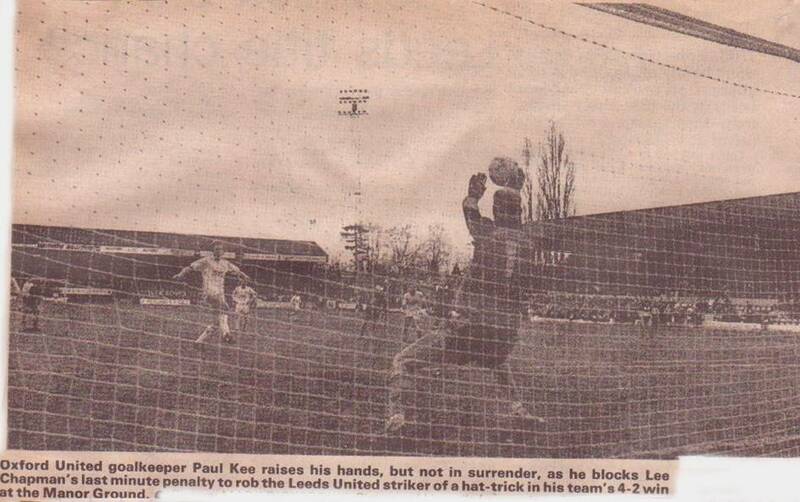 taken the penalty good saves.